Little, Brown and Company, 9780316198936, 352pp. In December 2008, the world watched as master financier Bernard L. Madoff was taken away from his posh Manhattan apartment in handcuffs, accused of swindling thousands of innocent victims-including friends and family-out of billions of dollars in the world's largest Ponzi scheme. 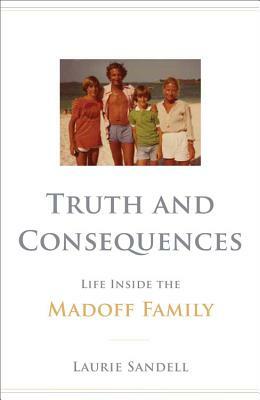 Madoff went to jail; he will spend the rest of his life there. But what happened to his devoted wife and sons? The people closest to him, the public reasoned, must have known the truth behind his astounding success. Had they been tricked, too? With unprecedented access to the surviving family members-wife Ruth, son Andrew and his fiancée Catherine Hooper-journalist Laurie Sandell reveals the personal details behind the headlines. How did Andrew and Mark, the sons who'd spent their lives believing in and building their own families around their father's business first learn of the massive deception? How does a wife, who adored her husband since they were teenagers, begin to understand the ramifications of his actions? The Madoffs were a tight-knit-even claustrophobic-clan, sticking together through marriages, divorces, and illnesses. But the pressures of enduring the massive scandal push them to their breaking points, most of all son Mark, whose suicide is one of the many tragedies that grew in the wake of the scandal. Laurie Sandell has written for Esquire, GQ, Glamour and InStyle, among others, and has contributed cartoons to New York, Glamour and The Wall Street Journal. Her first book, the graphic memoir The Impostor's Daughter-about her own experiences with her eccentric, secretive father-was nominated for a 2009 Eisner Award. She lives in Los Angeles, California.